B.D. 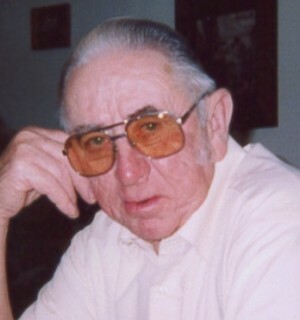 "Dale" Stith - age 87 of Altamont, MO and lifelong resident of Daviess County passed away Sunday morning, March 17th, 2019 at the University of Kansas Hospital after a brief illness. B.D. was born on December 14th, 1931 the son of Harry E. and Mary Myrtle (Croy) Stith in Jamesport, MO. He attended Red School, Pilot Grove School and graduated from Gallatin High School. On March 19th, 1950 Dale was united in marriage to Margaret Creekmore in Eureka Springs, AR. Shortly after marriage Dale and Margaret worked at the shoe factory in Hamilton. They settled on a farm south of Altamont in 1957 where they made their home, raised their family and ran their diverse farming operation, including a dairy. Later, B.D. operated the road grader for Sheridan and Colfax Townships for a number of years. He also served on the Public Water Supply District #1 board of directors. Dale retired from farming in 2007 after his health wouldn’t allow it anymore. He was blessed to remain on the farm that he called home for over 60 years until two days before his passing. B.D enjoyed spending time with family, farming, watching football, sitting on the front porch and keeping up with current issues in the news. He had a sense of humor and was stubborn, but he had a work ethic and love for his family that will forever be remembered. B.D. will be missed dearly by his family and Sunday afternoons will never be the same, but we take comfort knowing he is in heaven with Jesus and reunited with Margaret. Mr. Stith was preceded in death by: his parents; wife, Margaret; sister, Della Fitch; brother, Bill Stith; brother, Nevin Stith and sister, Joanna Hiley. Those left to mourn his passing and celebrate his life include: son, Junior (Judy) Stith of Gallatin; son, Chris (Bertie) Stith of Gallatin; son, Robin (Sharla) Stith of Polo; daughter, Kathy (Jerry) Frost of Gallatin; brother-in-law, Wesley Creekmore of Texas; brother-in-law, Delbert Hiley of Altamont; 8 grandchildren; 2 step-grandchildren; 13 great grandchildren; 7 step-great grandchildren; 4 step-great great grandchildren; nieces, nephews and other extended family. Funeral Services will be held at 1:00 PM Thursday, March 21st, 2019 at Stith Funeral Home in Gallatin. There is no scheduled visitation. Burial to follow at Pilot Grove #2 Cemetery near Jamesport. Memorial contributions are suggested to the cemetery. Friends may call at the funeral home after 9:00 AM Wednesday. Arrangements are under the direction of Stith Funeral Home in Gallatin. Online guestbook at www.stithfamilyfunerals.com.